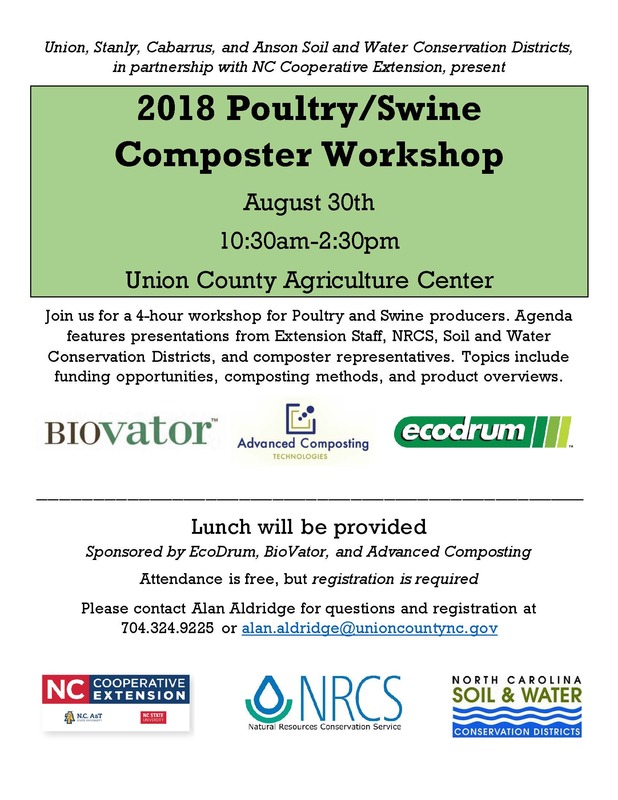 The 2018 Poultry & Swine Composter Workshop will be an opportunity for producers to see current composting systems and interact with NC suppliers. NRCS and Soil & Water personnel will be on-hand to discuss available cost-share programs. Please register by August 24 by contacting Alan Aldridge at 704-324-9225 or alan_aldridge@ncsu.edu. • Avian Flu: What Is It?